Subscribe to John M. Becker's Feed Send a note to John M. Becker. John M. Becker has been a Project Contributor since December 2010, has written 2583 entries and currently lives in Washington DC. John Becker is Editor-in-Chief of the Bilerico Project and an LGBT activist, writer, and blogger. Recent high-profile victories include a petition convincing performance venues across the country to cancel performances by singer Michelle Shocked after she delivered a homophobic tirade onstage, two headline-grabbing reports about anti-LGBT bigotry in the Salvation Army, a successful international media campaign that resulted in Apple dropping a “gay cure” iPhone app, and a sting operation in which Becker went undercover with hidden cameras at the clinic co-owned by Marcus and Michele Bachmann and exposed them for offering fraudulent “ex-gay” therapy. Becker has appeared as a guest on major news and political shows including ABC’s World News Tonight, Nightline, and Good Morning America; NBC’s Today Show; CNN's Newsroom; Fox’s Alan Colmes Show; MSNBC’s Ed Schultz Show and Live with Al Sharpton, and the Associated Press Television Network. 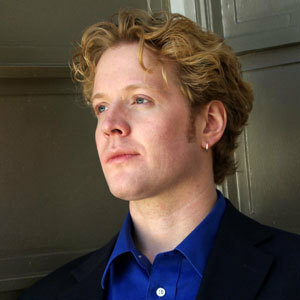 In addition to his full-time work as an LGBT rights activist, Becker is an accomplished classical musician, holding the master of music degree in vocal performance. A native of Wisconsin, Becker now lives in Washington, D.C.